A very solid performance by the Giants who take away a 79 point win. Ward led from the front all day and amassed 31 disposals, including nine clearances and nine inside 50s. The Giants have equaled their season high of 75 inside 50s. The Lions' count sits at 50. With another five contested possessions this quarter, Ward now has achieved a season high tally of 20 contested possessions. This is also a club high count. Lions InterchangeDarcy Gardiner off due to an injury. On a day where they have been down in most statistical areas, the Lions are comfortabley in front in the free kick count, leading 2512. Ward the leading contributor to this, giving away four free kicks, the most by him in any match this season. 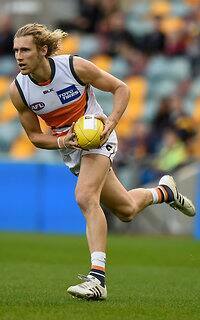 Giants InterchangeRory Lobb off due to an injury. The Hipwood behind keeps the last quarter goalless to this point. The inside 50 that resulted in the shot on goal broke a run of seven consecutive inside 50s to the Giants. The Giants have been in total control since part way through the first quarter. Across the match they lead the contested possession count 174119, clearances 48-29, and inside 50s 65-40. The Lions are yet to go inside their attacking 50 this quarter, with the Giants going inside 50 on five occasions. 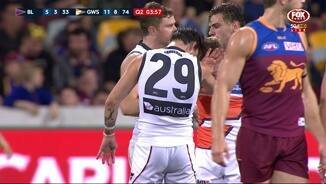 The Giants also have all three clearances of the quarter so far. The Lions finish the third quarter with back to back goals for the first time since the opening two goals of the match, to reduce the margin to 74 points at the last break. Hipwood with the last goal of the quarter from his second mark inside 50. After an inaccurate 3.7 (25) in the first quarter, the Giants have kicked a very accurate 18.2 (110) since that point. After kicking two goals himself this quarter, Ward was the provider on that play as he put Kelly into space by hand for his second of the quarter. Kelly has had 17 disposals for the match, including five inside 50s. Lions InterchangeDaniel McStay and is possibly out for the game. The Giants now with 11 individual goal kickers as Haynes adds his name to the list. Haynes with his first goal of the season from 11 matches. The Giants are continuing their dominance this quarter leading the inside 50 count 94, clearances 7-2, and hit outs 10-1. And now a Giants turnover at half back results in a Lions goal as Green spots Zorko inside forward 50. Zorko with two scores from his two disposals this quarter. An Andrews turnover at half back gives possession to Coniglio who puts Ward into space for his second goal of the quarter. Ward with three early third quarter disposals. Giants InterchangeDylan Shiel off due to an injury. Johnson coming off the square earns the first centre clearance of the quarter, and three disposals later, the Giants have the first goal of the second half within 15 seconds. A Schache point after the siren does little to help the Lions who find themselves down by 51 points at half time. 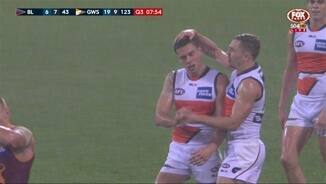 Coniglio in everything that quarter with 14 disposals, including a quarter high five clearances. The Giants putting on a dominant display this quarter, having now kicked ten goals, with six of these coming from Lions' turnovers. The Giants lead the inside 50 count 2014 this quarter. Cameron turns provider on this occasion as he links up with Patton by hand, who kicks his second of the match. Patton now with five disposals, all effective. Greene goals off the back of the Giants transitioning the football from defensive 50 to inside 50 for the eighth time today so far. The Giants have score 3.0 (18) from these eight possession chains. 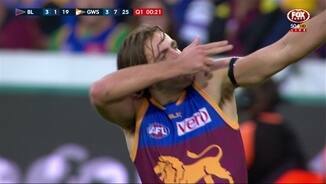 Zorko with the goal assist as he hits Hanley leading back in to the forward 50. Zorko has a team high 11 disposals, including three inside 50s. Schache breaks a run of three consecutive Giants' goals with his second of the match. The Schache goal was the Lions' first generated from a turnover. A strong Haynes intercept mark inside the Lions' forward 50 thwarts another Lions attack. The Giants in total control in the air, leading the intercept mark count 40 and total marks 29-14. Lions InterchangeStefan Martin off due to an injury. Cameron with his second of the match, and the first of the quarter, off the back of a strong contested mark. The Giants lead the contested mark count 51, Cameron now with two of his own. A wasteful Giants take a six point lead into the first break. Greene for the Giants the leading disposal getter on the ground with nine. Greene has also had a match high five score involvements. 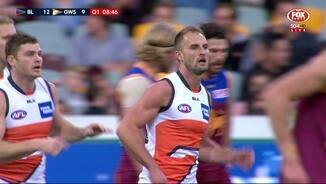 Haynes caught holding the ball, resulting in a Mathieson free kick, from which he kicks truly. All the Lions' goals this quarter have been generated from stoppages, while all the Giants' goals have originated from turnovers. Johnson misses a set shot from 25 metres out directly in front, after being on the receiving end of a Cameron pass. The Giants lead marks inside 50 41. The Giants have the early ascendancy in clearances, leading the count 106 with Greene having four of his own, a match high. 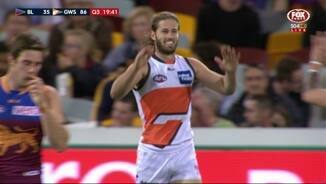 Greene also has an equal match high of five contested possessions. The Giants now with their first goal through the unlikely source of Patfull, who goals with his first disposal of the day. With more than 15 minutes gone in the first quarter, the Giants are yet to have an effective disposal inside their attacking 50. A Martin turnover on the wing allows the Giants to got inside 50 again, resulting in the Cameron behind. The Giants with the last three inside 50s of the match. The Giants now lead the tackle count 1713. Schache breaks the goal deadlock with the first goal of the day. Both teams have gone inside 50 three time apiece in the early stages, the Giants lead the disposal count 1715, with the Lions leading the tackle count 8-6. This season the Lions have been in possession of the ball for 38 per cent of gametime, the lowest percentage of any side. While the Giants have been in possession of the ball for 43 per cent of game-time, the third highest percentage of any side. 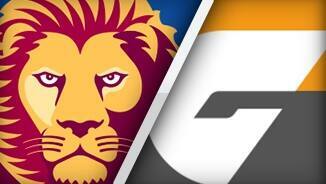 A tough assignment today for the 17th placed Lions who take on the 7th placed Giants in Brisbane at the GABBA. Welcome to Gabba for the Brisbane Lions v GWS Giants Round 17 clash. GREATER Western Sydney has stormed into the top four with a crushing 79-point victory over a Brisbane Lions team sure to be under the microscope again this week. The Giants squandered chances early, but a blistering 10-goal second quarter paved the way for a comfortable 22.14 (146) to 9.13 (67) victory. The win jumped them over Geelong, West Coast and the Sydney Swans and into fourth position with six rounds remaining. On a grim day for the Lions, it was a club record 12th straight loss in front of a record low Gabba crowd of 10,195. The Giants mauled the Lions in close, winning the contested ball 200-148 and made them look three paces slower when the ball cleared the contest into open space. 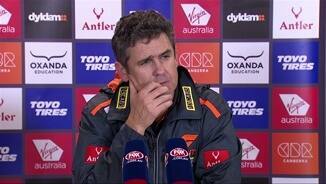 Coach Leon Cameron said it was a great response after being embarrassed by Collingwood last week. 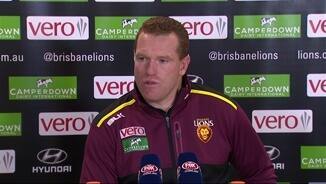 "(I was) really happy with our contested ball and our stoppages (52-39)," Cameron said. "I thought (Shane) Mumford bounced back and I thought our midfield really bounced back and answered the challenge." The Giants face Port Adelaide (away), Richmond (at 'home' in Canberra) and Gold Coast (away) in a three-week stretch that Cameron says could determine their season. Leppitsch said he didn't think the effort was horrible against the Giants, preferring to pay credit to his opposition. He said the Bombers match would be just like any other. "We go to win every game, so it doesn't really change," he said. 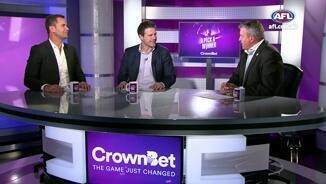 "I know most people will put a lot of emphasis on the game. We will go down there and put in our best performance." For the Lions, next Sunday's match against Essendon in Melbourne is a wooden spoon play-off for under-siege coach Justin Leppitsch and his men. Stephen Coniglio (32 touches and eight clearances), Callan Ward (31, nine clearances and three goals) and Toby Greene (29 and seven clearances) were monsters in tight for the winners, while Josh Kelly oozed class with his 26 disposals and three goals. The forward line of Jeremy Cameron (three goals), Jonathon Patton (two) and Devon Smith (two) all dined out from a whopping 77 inside 50s. The most disheartening thing for the home team was the ease with which the Giants' score ballooned. 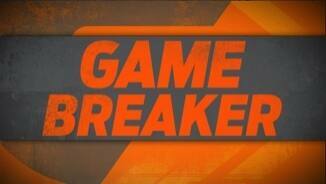 In a four-minute burst late in the second quarter, GWS slammed on four goals to kill the contest off. On multiple occasions they marked the ball within 20m of goal without a Lions player in sight, and the unselfish play was almost farcical at times. At one stage Cameron took a mark 20m out and handpassed to an open Patton in the square for a goal. It was an embarrassing stretch for the Lions. The Giants led by 51 points at the half, and when the rain came in the third quarter, their class was even more evident as Ward and Kelly bombed difficult goals from long range. Dayne Zorko (28 disposals) was again a shining light for the Lions, while captain Tom Rockliff (34 and two goals) tried hard and was good when he had the ball forward of centre. Brisbane Lions: Defender Dan McStay hobbled off in the third quarter with an ankle injury after landing awkwardly and is in some doubt for next week. Lewy Taylor was a late scratching – replaced by Ben Keays – after also suffering an ankle injury at training. Leppitsch said the small forward would need scans and may need surgery. Greater Western Sydney: Tall forward Rory Lobb was the only casualty from the Giants' huge win, limping off in the final term with a toe injury. Coach Leon Cameron said it wasn't serious and he should be fine for next week. The Giants will look to firm up their spot in the top four with a tricky match against the improving Port Adelaide at Adelaide Oval next Sunday. The Power have come into some good form in recent weeks after a competitive loss against Hawthorn followed by a victory over North Melbourne. The Lions meanwhile face a wooden spoon play-off against Essendon at Etihad Stadium on Sunday afternoon.